Getting into motion this Spring/Summer 2017 season. Ruffles aren't dead yet. On the contrary, it's getting stronger, much stronger. So be sure to add this feminine-much and Spanish-like trend to your seasonal wardrobe. 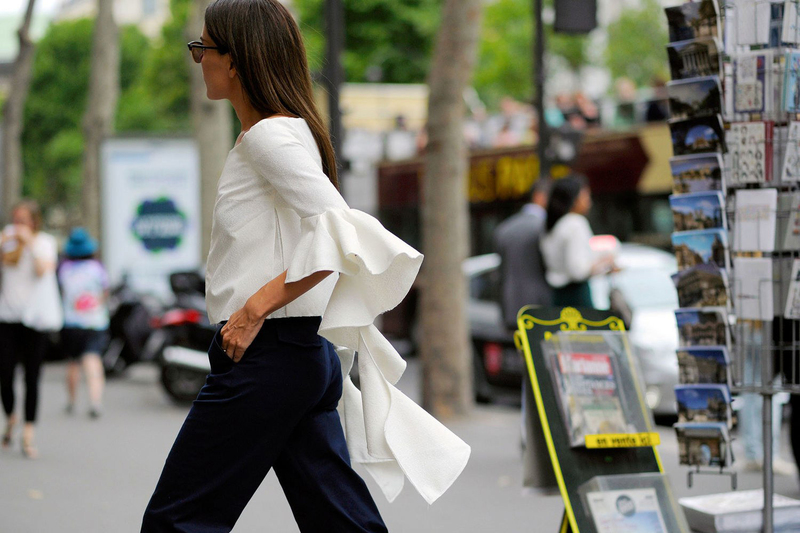 So what modern ruffles are all about? It's all about serious fashion statement and pretty interesting detail that can easily up your look. Make sure to pay attention to volume-huge ruffles and/or a combination of small and statement ruffles. This season ruffles may come in, well, unexpected fabrics, like leather. Despite volume and statement, think also of ruffle-d detailing - asymmetric lines, splits and more. Best runway inspirations take us to Alexander McQueen, Erdem, Jacquemus and 3.1 Phillip Lim. Meanwhile, some worth-investing ruffled pieces can all be found in this new PQAP selection.